Jazz up your living room look with the fun, modern shape of this loveseat. 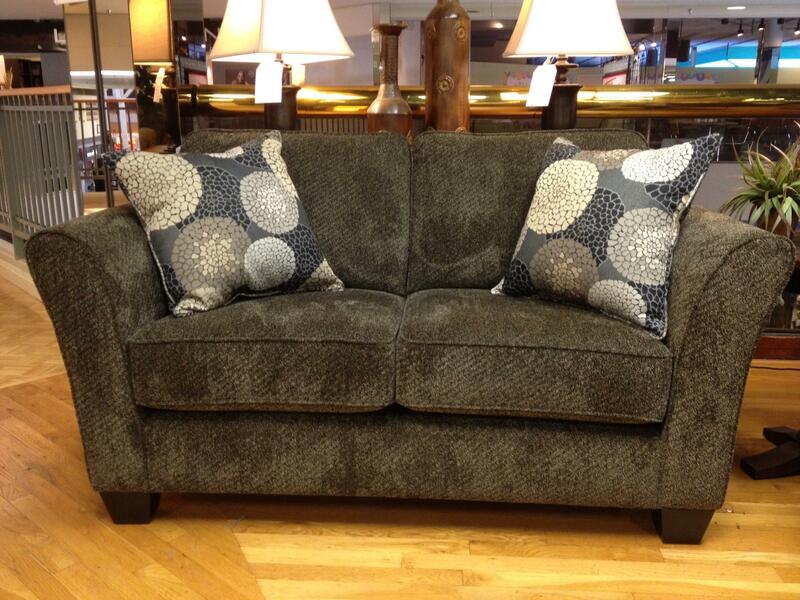 Cleanly tailored, boxed-edged cushions are framed by striking, wide-flared arms. Welt trim and dark-finished block feet add extra depth and texture to this look. 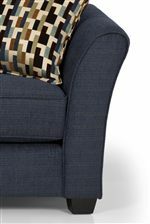 Loveseat is comfortably furnished with resilient, multi-layer seat cushions and fiber-filled accent pillows for extra comfort. The 184 Contemporary Loveseat by Stanton at Rife's Home Furniture in the Eugene, Springfield, Albany, Coos Bay, Corvallis, Roseburg, Oregon area. Product availability may vary. Contact us for the most current availability on this product.